I’ll try to explain in a future post the actual midrashic process by which the author of the Gospel of John appears to have woven together passages from Genesis 1 and Proverbs 8 (and why he did this) to produce the above opening verses. Where did the Logos come from? It’s been a long break from blogging for me. I can scarcely recall even writing some of the posts I have returned to see here under my name. But here I am living in a new unit and with a clean bill of health from a doctor so time to resume. 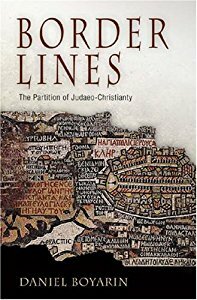 Here’s something I found interesting in the early pages of Daniel Boyarin‘s Border Lines: The Partition of Judaeo-Christianity (one of the works I was catching up with while absent). Boyarin is discussing a framework through which we can compare various religious groups. It was of interest to me because it led me to think of alternative ways of comparing other ideas, beliefs and literature, especially when exploring the questions related to Christian origins. Think of the squabbles over whether or not the death and resurrection of Jesus owes anything to myths of Osiris, Heracles, Romulus and others. Or over whether miracles of Jesus are derived ultimately from tales in Jewish Scripture and if so does that mean there is no room for their derivation from oral tradition? Or whether aspects of Hellenistic and Latin literature inspired any of the gospel narratives? When we think about comparisons in these fields it is easy to default to family tree models. Each tree can only produce variations of its own kind (whatever that happens to be) and that’s that. Boyarin is surveying the panorama the Judaeo-Christian landscape as it was in the second and third centuries with Marcionism and its utter rejection of anything Jewish (Scriptures included) in its Christianity at one far end of the horizon and many Jews who had not the slightest interest in anything to do with Jesus at the opposing end, with every permutation and graduation of belief systems imaginable in between. Instead of the family tree model he proposes a linguistic metaphor — wave theory. Wave theory posits that linguistic similarity is not necessarily the product of a common origin but may be the product of convergence of different dialects spoken in contiguous areas, dialects that are, moreover, not strictly bounded and differentiated from each other but instead shade one into the other. 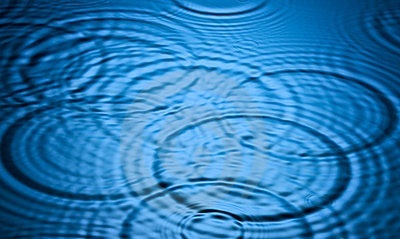 Innovations at any one point spread like waves created when a stone is thrown into a pond, intersecting with other such waves produced in other places leading to the currently observed patterns of differentiation and similarity. So how does this differ from the family tree model?